Solar Decathlon headquarters, located at 1100 East King Street. Aug. 22, 2013. In 2011, Appalachian State University took on competitors from all over the nation in Washington, D.C., to show the world their take on sustainable living and solar-dependent housing. This time, Appalachian State University and the Université d’Angers in France have teamed up in a dual effort for Solar Decathlon Europe to become team ‘Maison Reciprocite,’ or in English, Reciprocity House. In 2014, students from Appalachian State will travel across the pond to Versailles, France to showcase their new sustainably built and powered take on sustainable living. This year’s project is a monster. When all is said and done, over 1,000 students from both universities will complete a 1,500 square foot multiple story space, which will house commercial, residential, green. and ‘flex’ space. 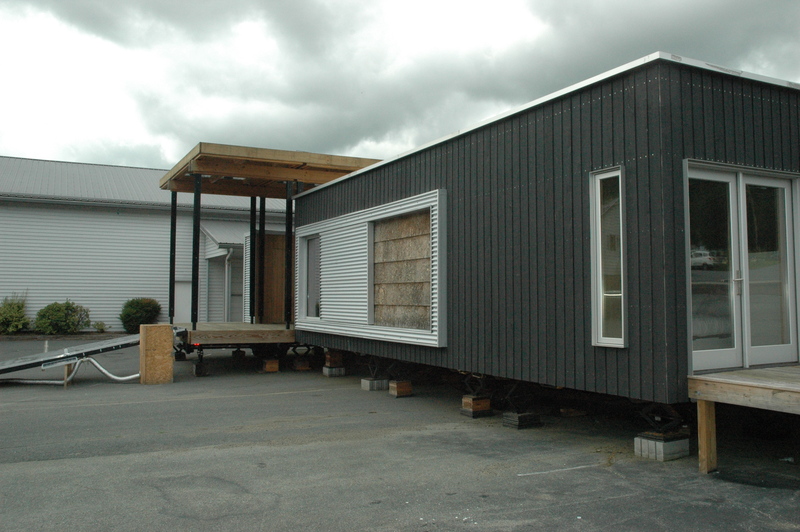 Appalachian State University’s entry to the 2011 Solar Decathlon in Washington, D.C.
“We are proposing a ’24-hour’ community,” Bridges said. Members of Team Réciprocité look toward creating a more social and sustainable community and have made substantial progress defining design goals, technical parameters, and opportunities for discovery in this new, joint-venture project. Did you know that the sun from an average day in N.C. can power a Wii for 48 hours? Team “Maison Reciprocite” is also one of the only teams competing in the Solar Decathlon which is not government subsidized. All of the funds for this project are raised entirely by the team, or generously donated by sponsors and community members. Construction on the structure is scheduled to begin in a few weeks. For more information on Team “Maison Reciprocite,” please click here.